What can I say, Looking back over the images from last week seem like it was a lifetime ago yet every memory is so clear, a truly amazing lifetime experience, Sweden itself is such a beautiful untouched country, to have been able to travel a section of the massive 1300km sunset relay across was an honour, I enjoyed every moment of it minus the intense mosquito invasion haha, I found the race challenging yet invigorating, riding 26km in the middle of the night with pure daylight was so surreal and gave me a huge sense of freedom, My endurance training leading up to the race defiantly paid off, I travelled at a relatively fast speed throughout the whole duration of my section and I felt I had a little more in me before I really started to feel fatigue. 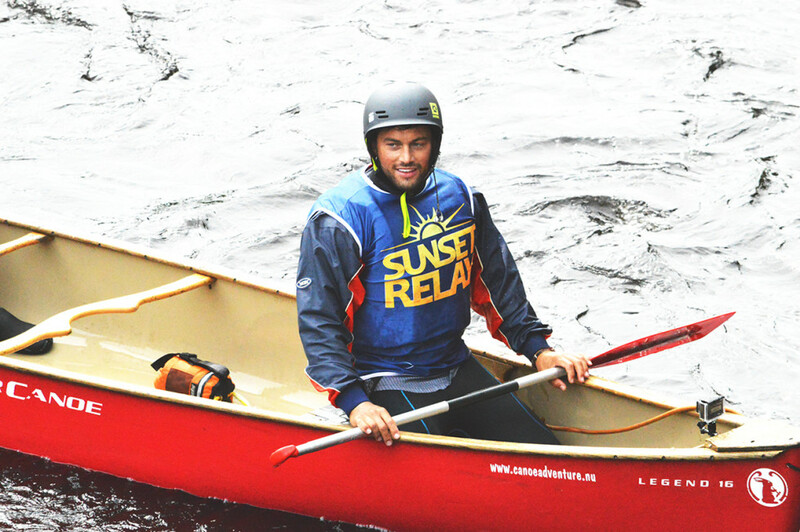 Having said that it left plenty of fuel in the tank to cover the 8km Canoe 8 hours after finishing the ride. I found the canoeing a lot harder than the ride I must admit, my legs are working throughout the duration of my day so they have by no doubt greater endurance than my upper body, I found the cardio vascular section of canoeing ok however the lactic acid build up in my shoulders was present within the first kilometre of the row, I pushed through the burn and completed the section again in a reasonable time considering we regally had a helicopter flying over us creating what felt like a wind storm haha. Would I take part in an endurance event again? hell yea. I think pushing your body out of it’s comfort zone is so important not only does it keep you mentally stimulated but it keeps the body guessing and change is great. With no change training can easily become boring so mixing up training programmes can really reenergise that passion for health and fitness, Plus the added motivation to achieve your goal. Moving on from the race I am going to step back into the gym and continue with a split muscle group style of weight training focusing on increasing muscle mass whilst keeping relatively lean, I’m not looking to put on to much more size but improve on sculpting and muscular development.